Microbial Transformations of Steroids: A Handbook aims to provide those who wish to use microbial transformations of steroids with a single source book starting from 1937 to the present. 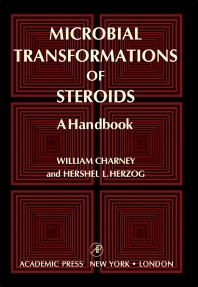 The handbook first offers information on the history of the microbial transformations of organic compounds, including earliest works on the study of nonsteroids and steroids; significance of discovery of anti-inflammatory action of cortisone; first hydroxylations and dehydrogenations; manufacture of natural and synthetic corticosteroids; and trends in research. The text then ponders on chemical classification of microbial transformations of steroids, as well as the role of enzymes in microbial transformations and the classes of reactions. The publication elaborates on the construction and use of the table. Topics include order of the table, nomenclature, description of the transformation leading to the product, yield, organism, and constants. The book also focuses on taxonomy and use of the table, including system of classification, specific notes on divisions of the table, and source of cultures. The handbook is a valuable source of data for readers interested in the microbial transformations of steroids.